‘THE past is a foreign country: they do things differently there,’ wrote British novelist, Leslie Poles Hartley. Today, more French subsist in London than Bordeaux. Nearly one third of the capital’s Michelin-starred restaurants are out-and-out French (let’s not forget the guide’s French pedigree), with up to a third more adhering, somewhat, to the culture’s classic gastronomic grammar. It is hard to imagine, then, that early attempts at a tunnel connecting continents failed on account of the British fear of invasion. But it is less hard, and perhaps less amusing to recall France’s ban on British oysters, temporarily lifted in 1957 when Mayfair’s Mirabelle moved to Paris for a week. The aim was promotion of English cuisine with Colchester natives, devilled kidneys and silverside served with dumplings. If, like your correspondent, you have ever tried shifting English wine on a French punter, you can surely sympathise with that brave restaurateur. 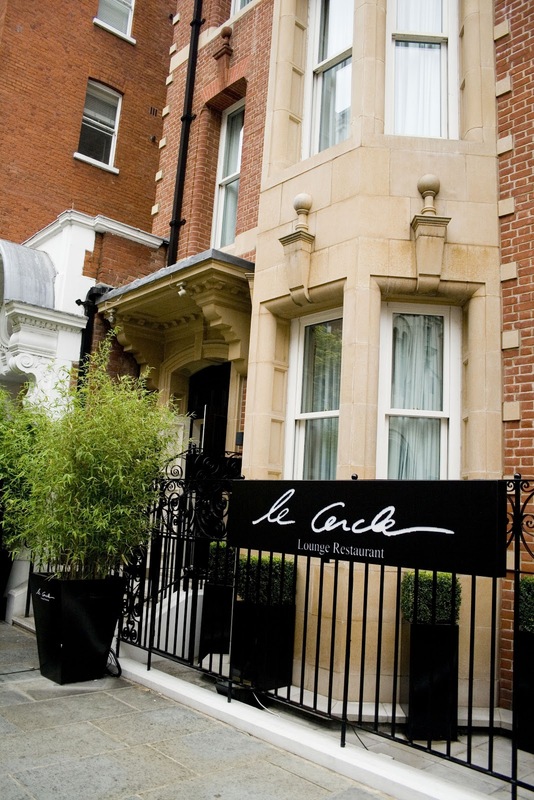 ‘Le Cercle’ refers to a foreign policy think-tank specialising in international security, and a ‘lounge’ restaurant beneath Chelsea. The latter is a haute hotspot of the friendly French invasion offering a ‘Tour de France of flavours’ according to the website. ‘Mirepoix’ refers to a classic clutch of vegetables and bacon or ham which forms the base of many French braises, as well as the surname of 25 year-old head chef, Pierre Mirepoix, who cooks on gas rather than focussing on thought control. Your correspondent spent the night cruising Mirepoix’s decadent ‘Traditions’ five-course menu, featuring no shortage of Scottish game. It began with an inexplicably titled but brisk acting ‘San Francisco’ Martin Miller gin ‘pour lui’ (blueberries, tarragon, citrus) sipped under the looming mantle of a stalwart stone fireplace. Beside it, shelves were erratically stacked with tomes on pipe smoking, Gascon cookery, and, mysteriously, the canon of Children’s Britannica. While chairs in the bar forced one to recline - a vital component of the lounge restaurant experience, no doubt – a ‘haven of temptation and glamour’ - the Danish ones in the dining room led to more dignified posture. Tables, swathed in café latte-coloured cloths, sprouted from raised booths, beyond voile-d wings and framed by a glass balcony on the mezzanine. Fleshy wood pigeon was gentrified as ‘royale’ on the menu, with pickled grapes, chicory and liquidised beetroot caramel, but no ‘Duke cherry’, as per the ‘royale’ definition. With it, your correspondent drank three year-old Chardonnay, speaking, finely, of smoke and minerals (Limoux Les Benedictins, Sieur d’Arques) from a list by Antonin Charlier. 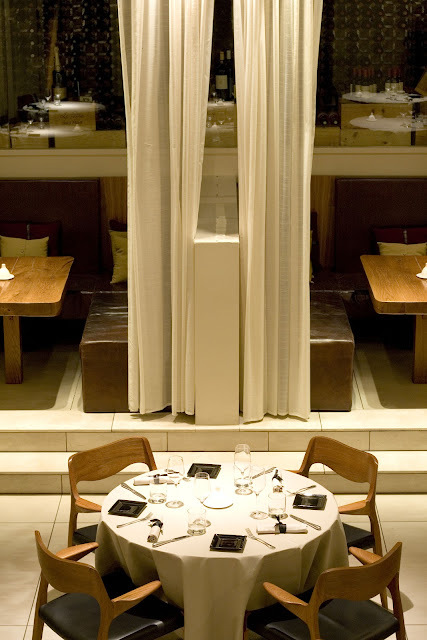 Charlier also curates liquid assets of restaurant siblings, Club Gascon and Cigalon. Below Cigalon, Bar Baranis features bastion of French village culture, an indoor pétanque pit, incidentally. Next, soothing ballotine of hare with sultanas, white cabbage compote and raisined brioche received a cuddle of oak from 2009 Lirac, Chateau d’Aqueira. Glistening trumpet mushrooms, perhaps once sniffed by hares, added fibrous texture an earthy boskiness. With black Cahors (Le Combal), assuredly seared venison met slightly over scented vanilla oil (suggestive of a scented candle), ‘salsifis’ and coy coffee sauce. Needless to say, no fish knives did battle over this meal. Ossau Iraty sheeps’ cheese, shavings spun like a flower, was gloriously buttery. Finally, Baba au Rhum, which usually sounds better than it tastes, proved a good example, modernised with a crystallised popcorn tuille and crisp, green pear sorbet (pepped by fresh ‘10 Pacherence du Vic-Bilh, La Folie du Roie from intrepid co-op, Producteurs Plaimont in the Gers, a remote region focussed on heart-friendly fat according to Professor Corder’s ‘Wine Diet’). Cleansing green tea brought proceedings to a close, served in a pot which resembled an astronaught’s helmet.